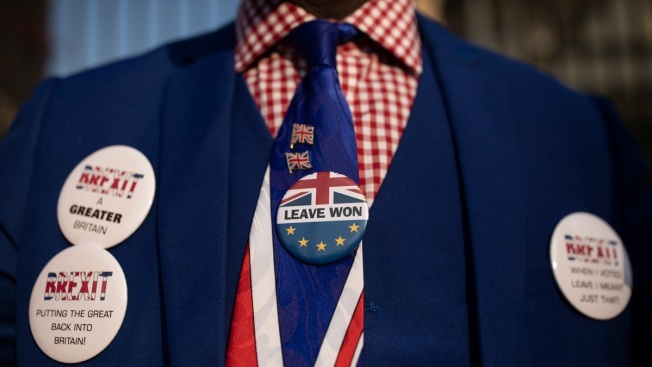 A protester wears a 'Leave Won' badge outside the Houses of Parliament on March 28, 2019, in London, England. 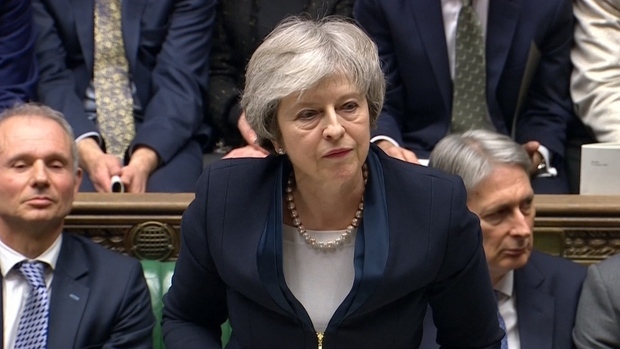 None of the eight proposals put to the vote in the House of Commons as an alternative to Theresa May's Brexit Deal secured clear backing of Members of Parliament. MPs voted down each one in turn last night, leaving the Prime Minister's deal as a possible way forward if the Speaker allows a third Meaningful Vote to be brought before the House. British lawmakers on Friday rejected the government's Brexit deal for a third time, leaving the U.K. facing the stark prospect of a chaotic departure from the European Union in just two weeks, with political leaders in turmoil and the country ill-prepared for the shock. It's either that, or a long delay to the country's exit from the EU. The alternatives are dwindling. The House of Commons voted 286-344 against the withdrawal agreement struck between Prime Minister Theresa May and the EU, rebuffing her plea to "put aside self and party" and deliver the Brexit that Britons voted for. Amid business warnings that a no-deal Brexit could mean crippling tariffs, border gridlock and shortages of goods, a visibly frustrated May said the vote had "grave" implications. "The legal default now is that the United Kingdom is due to leave the European Union on 12 April — in just 14 days' time," she said. "This is not enough time to agree, legislate for and ratify a deal, and yet the House has been clear it will not permit leaving without a deal. And so we will have to agree an alternative way forward." Had the deal been passed, Britain would have left the EU on May 22. The bloc said the rejection of the divorce terms made a no-deal Brexit "a likely scenario" and called an emergency summit of EU leaders for April 10 to decide what to do next. An EU Commission official said the 27 remaining EU nations were "fully prepared for a no-deal scenario at midnight 12th of April." 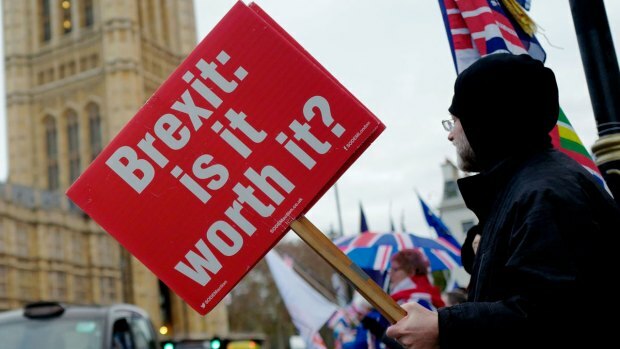 Almost three years after Britain voted in June 2016 to leave the EU, and two years after it set its departure date for March 29, 2019, British politicians remain deadlocked over Brexit. Like the country as a whole, they are split between those who want a clean break, those who want to retain close ties with the bloc, and those who want to overturn the decision to leave. Last week, to prevent Britain from crashing out, the EU granted an extension to May 22 if the divorce deal was approved by Friday — or to April 12 if it was rejected. Friday's 58-vote margin of defeat for the deal was narrower than previous votes in January and March, but it still left the government's blueprint for exiting the bloc in tatters. May's deal was voted down even after the prime minister sacrificed her job in exchange for Brexit, promising to quit if lawmakers approved the agreement. 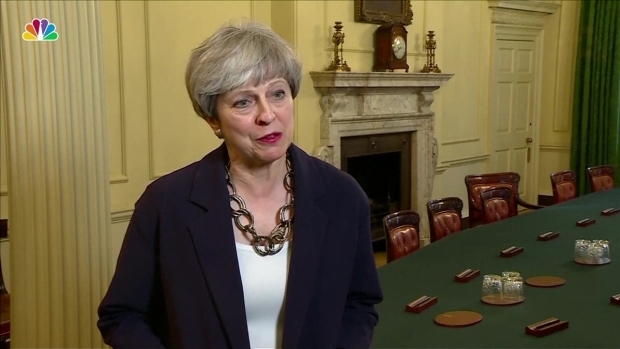 With the deal's rejection, she will face pressure to step aside and let a new Conservative Party leader take over negotiations with the EU. The government had also warned pro-Brexit politicians that rejecting May's deal could see Britain's departure from the EU delayed indefinitely. May's arguments moved some previously resistant Brexit-backers to support the deal. Former Foreign Secretary Boris Johnson — a likely contender to replace May as Conservative leader — tweeted that rejecting it risked "being forced to accept an even worse version of Brexit or losing Brexit altogether." But May's key allies, the Democratic Unionist Party in Northern Ireland, refused to back the agreement because it treats Northern Ireland differently from the rest of the U.K.
Parliament voted on the legally binding, 585-page withdrawal agreement that May struck with the EU late last year, setting out the terms of Britain's departure — but not on a shorter declaration on future ties that was also part of the accord between the two sides. Removing the political declaration altered the deal enough to overcome a parliamentary ban against asking lawmakers the same question over and over again. May also hoped severing the link between the two parts of the deal would blunt opposition. That gamble failed to pay off, as opposition lawmakers said if amounted to voting for a "blind Brexit" with no idea what would happen next. Opposition lawmakers declared May's deal as good as dead. Labour Party legislator Ian Murray likened it to the dead parrot in a Monty Python comedy sketch. "Her deal is no more," he said. "It has ceased to exist. It is bereft of life. It rests in peace. It's a deal that has been nailed to its perch. It's an ex-parrot, it is an ex-deal." Lawmakers who favor a "soft Brexit" plan to hold votes Monday in an attempt to find a deal with majority support that can break the deadlock. Labour Party leader Jeremy Corbyn said Parliament had a "responsibility to find a majority for a better deal for all the people of this country." Business groups, who have been sounding the alarm for months about the damage a no-deal Brexit could do, urged lawmakers to avert disaster. "All eyes are now on Monday to discover what Parliament is for," said Josh Hardie, director-general of the Confederation of British Industry. "The U.K.'s reputation, people's jobs and livelihoods are at stake. No-deal is two weeks away." If lawmakers back a new proposal, Britain would need to seek a new delay to Brexit from the bloc to implement it. The EU has indicated it could grant an extension of up to a year if the U.K. plans to change course and tack toward a softer departure. That would, however, require Britain to participate in elections for the European Parliament in late May — something both the bloc and the British government have sought to avoid. The political morass has left Britons on both sides of the debate frustrated and angry. Thousands of Brexit supporters, who had planned to be celebrating Friday, were protesting instead. They converged on Parliament Square as lawmakers voted inside, waving Union Jack flags, singing "Bye-Bye EU" and lamenting the government's failure to take Britain out of the bloc on schedule. 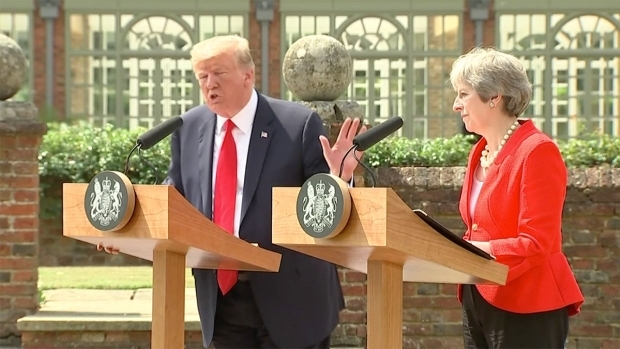 "The people are supposed to be the masters and them inside (Parliament) are meant to do what we tell them," said Charlotte Clifford from Eastbourne in southern England. "It's democracy." The main "Leave Means Leave" protest outside Parliament was attended by senior Brexiteers including former U.K. Independence Party leader Nigel Farage, who called Friday a "day of betrayal." In a separate rally up the street, far-right agitator Tommy Robinson roused supporters with a speech attacking politicians and the media. Retired charity worker Mandy Childs, one of a band of Brexit supporters walking across England to join the "Leave Means Leave" protest, said she felt "heartbroken." "We were told over a 100 times by a British prime minister that we would be leaving on the 29th of March, 2019," she said. "To do that, promise the British people that and then say 'Actually, no, we need to just put it back' — absolute betrayal. And how dare she?" 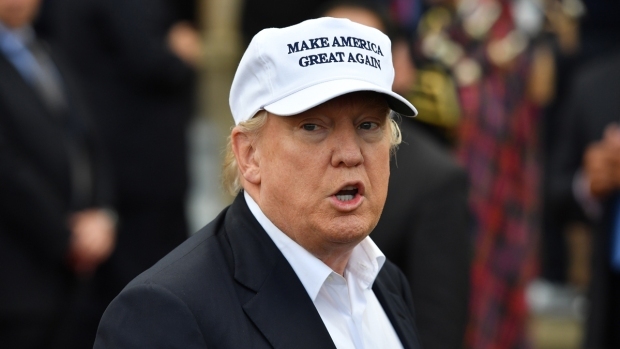 Presumptive Republican presidential nominee Donald Trump declared Britain's vote to leave the European Union "historic" while speaking at an event at his championship golf resort in Turnberry, Scotland. Raf Casert, Monika Scislowska and Jeff Schaeffer contributed.